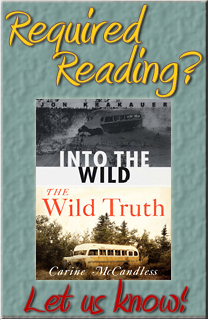 In 1992, Boulder author Jon Krakauer’s editor at Outside magazine tossed him a curious news item about a young man named Chris McCandless, who apparently had starved to death after trying to survive in an abandoned school bus not far into the Alaskan wilderness. When the magazine published the haunting “Death of an Innocent” in its January 1993 issue, readers were drawn almost hypnotically into McCandless’ odyssey. From that moment, through the publication of Krakauer’s bestselling 1995 book, “Into the Wild,” and an enormously successful 2007 film of the same name, millions have been powerfully moved by the almost mystical journey of a young man who abandoned civilization and called himself Alexander Supertramp. But beyond all judgment lay a deep mystery: Why? 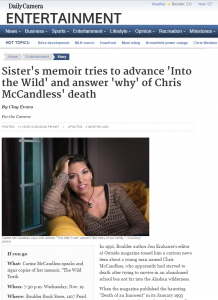 More than two decades after Chris McCandless’ death, his younger sister Carine has offered her own explanation in “The Wild Truth”: Chris was fleeing… See the complete story on DailyCamera.com.